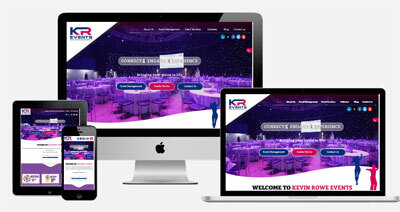 Western Webs were commissioned to develop a website for Kevin Rowe Events. Therefore, promoting the range of event management services offered by the company. The company are headquartered in Dublin. As a result, they provide services to a customer base all over Ireland and the United Kingdom. The company aim to create truly memorable lifelong experience. The company have over 25 years’ experience in the events management industry and bring that experience to every event or project undertaken. In conclusion, the website is built on a WordPress platform, mobile responsive, optimised for fast loading performance and is hosted in Ireland. Click to visit Kevin Rowe Events website.